Motorcycles while providing means of transportation, are also playful and enjoyable vehicles for numerous people as well. Many people own motorbikes out of their fondness for them rather than need or requirement. Regardless of why people own motorcycles, one of the greatest hobbies is to make them look unique and stylized in an attractive personal way. Motorcycle Stickers provide an affordable yet durable way of personalizing motorcycles accurately according to the style preferences of the owner. 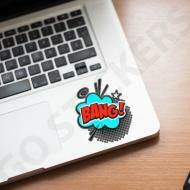 Go Stickers provide the most reliable and long lasting motorcycle decals that also have the most unique, attractive and customized designs and printing on them. Our windfall offers include free shipping and free printing on wholesale orders along with no added costs for the printing plates or the cutting die equipment as well. When personalizing or customizing a motorcycle is concerned, there is no cheaper and easier way then using Motorcycle Stickers on it. The stickers come in the widest selection of cutting shape and printing designs that enables them to suit individual style preferences of most if not all motorcycle owners. Available in a multitude of options including sponsor decals for sports motorbikes or metalized logo or letter stickers for those chopper motorbikes, these stickers for motorcycles are manufactured from the most durable composite materials that will keep their high contrast and definition printing colors and designs for the longest time even in the most extreme outdoor conditions. 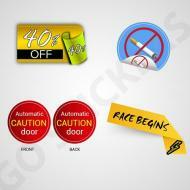 Go Stickers provide some of the most unique, attractive and long lasting motorcycle racing stickers as well as logo and other personalized designs Motorcycle Stickers at the most affordable rates in the industry. Our most advanced cutting and printing equipment guarantees finished designs of the highest quality and detail while the highest quality materials that we use, enable our motorcycle decals to last the longest while offering good as new shiny or rugged designs as chosen by our clients. 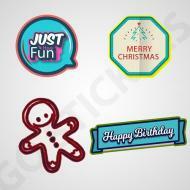 Get the cheapest wholesale prices with highest quality custom sticker products from Go Stickers. With the most effective and reliable raw materials sourcing, manufacturing and distribution channels, Go Stickers have the ability to keep unit prices to a minimum and offer our clients the most reliable Wholesale Motorcycle Stickers that they can even hope to get from the industry. 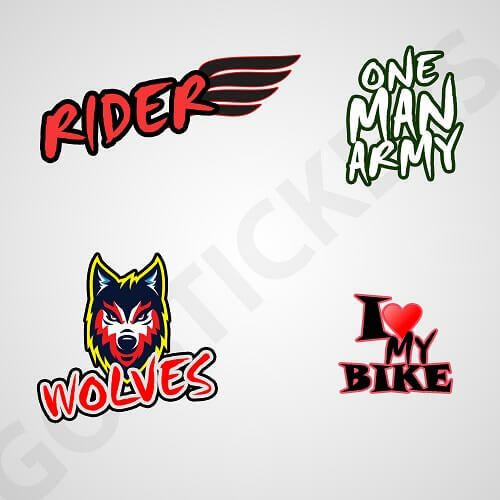 The highest quality wholesale custom motorbike decals from Go Stickers guarantee top-level design, material and adhesive durability at the cheapest bulk prices in the entire industry. Cutting costs by compromising quality is not our way of doing business. 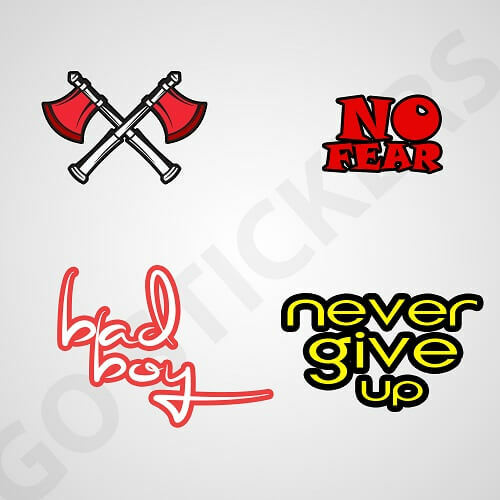 With the most useful combination of state-of-the-art equipment along with the most skilled and experienced people from the entire industry, Go Stickers are able to produce our Custom Motorcycle Stickers in the most personalized and unique designs that are accurately perfect for numerous types of design and style preferences. Motorcycle racing stickers, sponsor decals, skull designs, natural or floral printed designs or any other preferred shapes or printing designs are all our specialties. Our unique and most attractive designs can satisfy requirements for numerous types and kinds of preferences most efficiently. 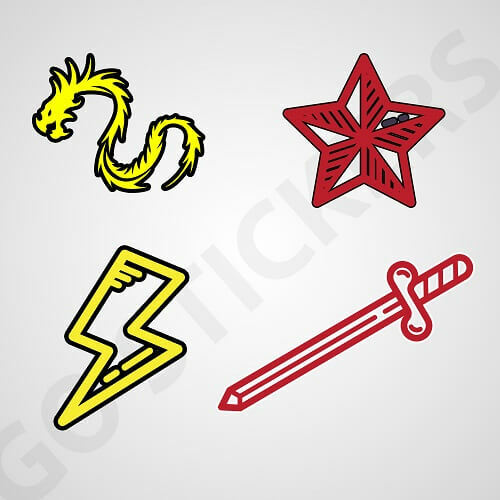 Go Stickers realize that the Custom Motorcycle Stickers are aimed to be used in the rugged outdoor conditions that involve a lot of exposure to harsh elements like rain, humidity, sunlight or extreme temperatures. To make our stickers for motorcycles last the longest in terms of their printing and color designs, we use the highest quality inks and the most advanced reliable printing equipment as well. 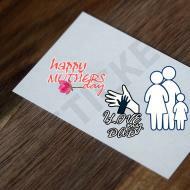 These provide top quality finishes to our decal stickers that are able to last as long as not taken off intentionally. 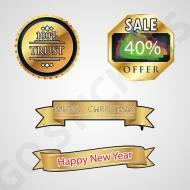 We also offer free top quality printing designs advice. 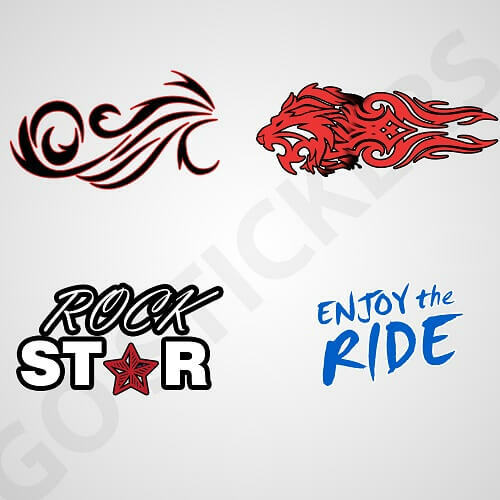 Go Stickers provide the most dependable wholesale offers for custom motorcycle decals that offer unique and attractive cutting and printing designs along with durable material quality. Buy from us in bulk and we will ship your sticker products right to your doorstep free of cost along with free printing and will not add any extra hidden costs to your bill including the printing plates or the cutting die equipment cost as well.